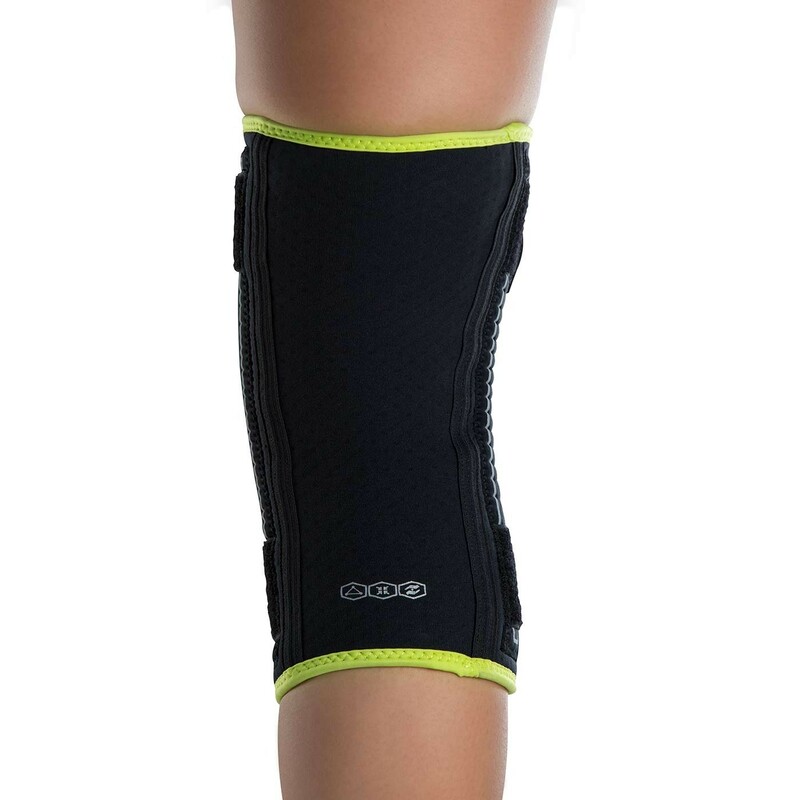 Compression knee sleeve with flexible medial/lateral stays. 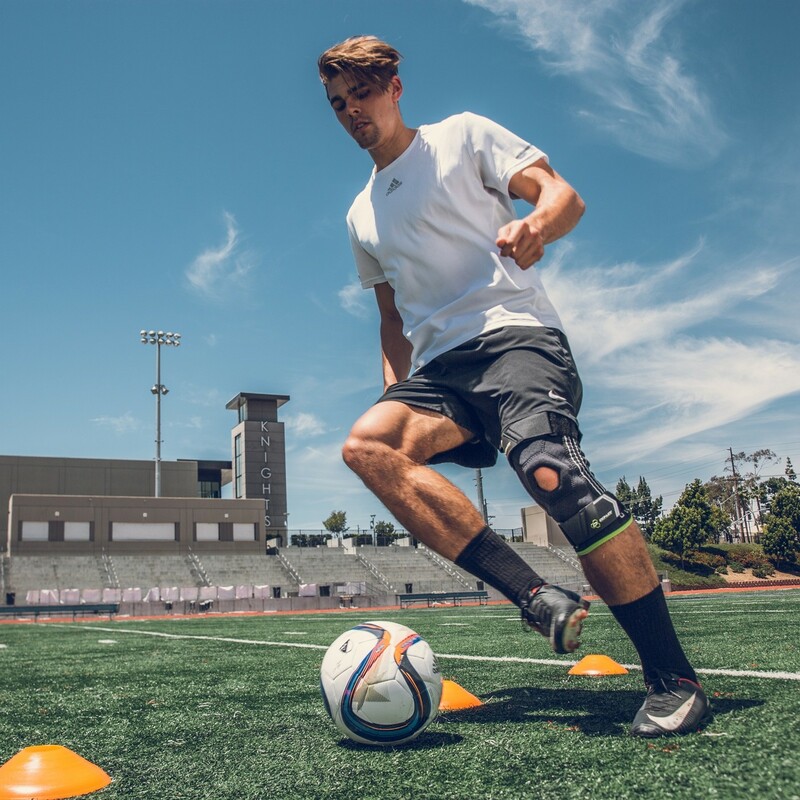 The DonJoy Performance Stabilizing Knee Sleeve is a compression knee sleeve designed to help reduce knee pain and swelling associated with knee sprains and strains, Patellofemoral Syndrome, bursitis, tendonitis or overuse. 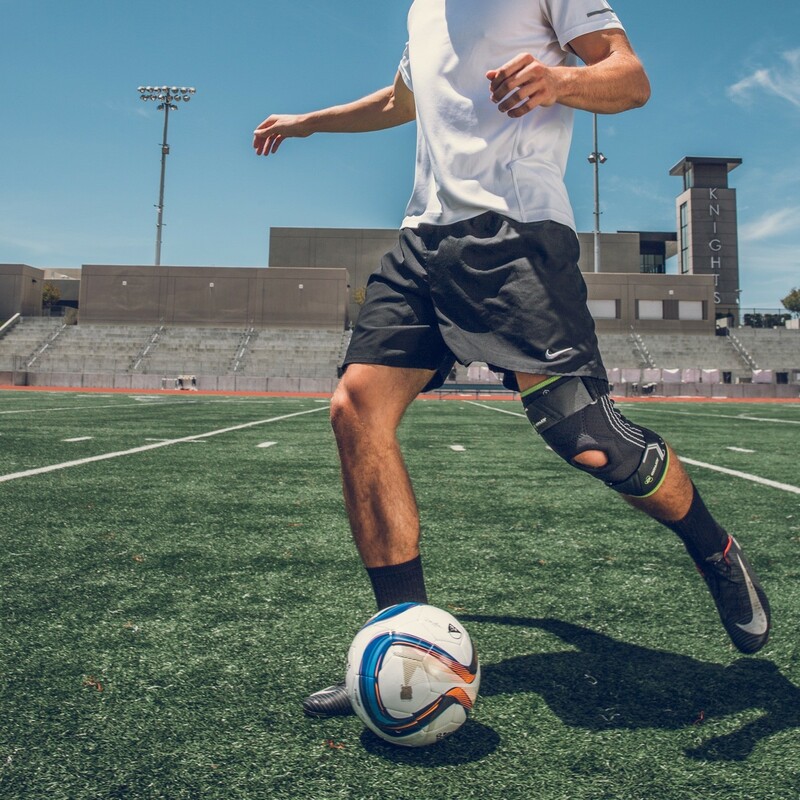 Created with dual, flexible stays, the Stabilizing Knee Sleeve supports the medial/lateral knee joint while the hex buttress provides kneecap stabilization without limiting any range of motion. 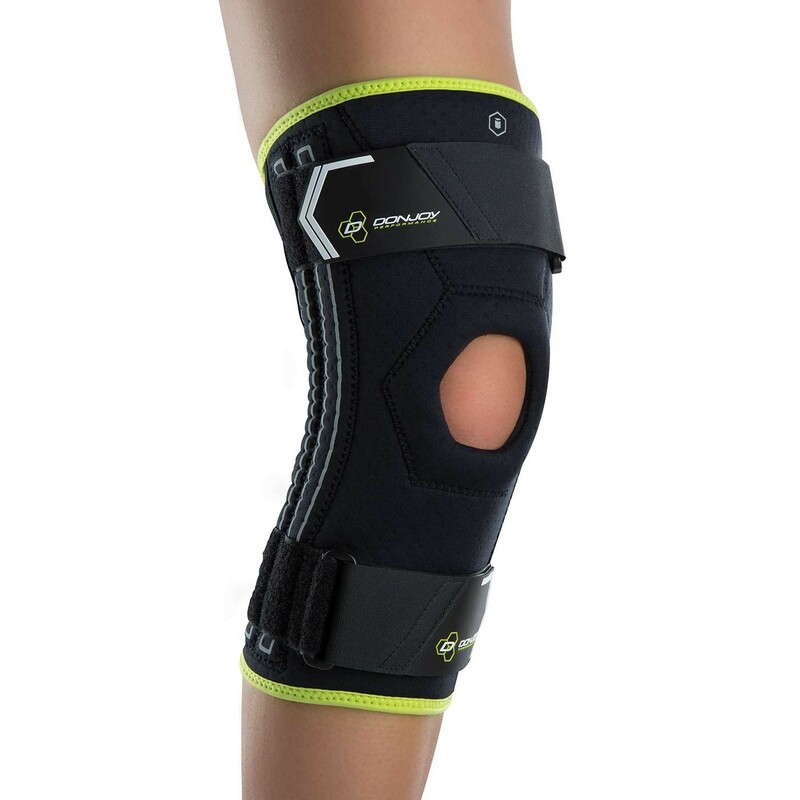 The top and bottom straps help keep the Stabilizing Knee Sleeve in place and provide additional compression, helping to alleviate knee pain. 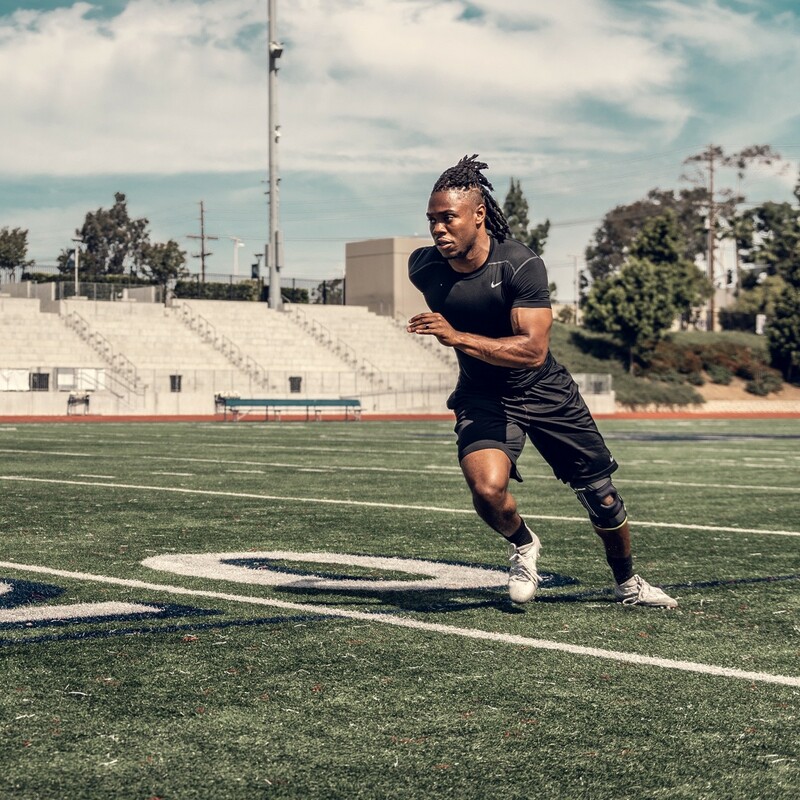 This low-profile knee sleeve is made with 4mm neoprene material which provides superior compression and heat retention—the ultimate combination in performance and protection when on or off the field. 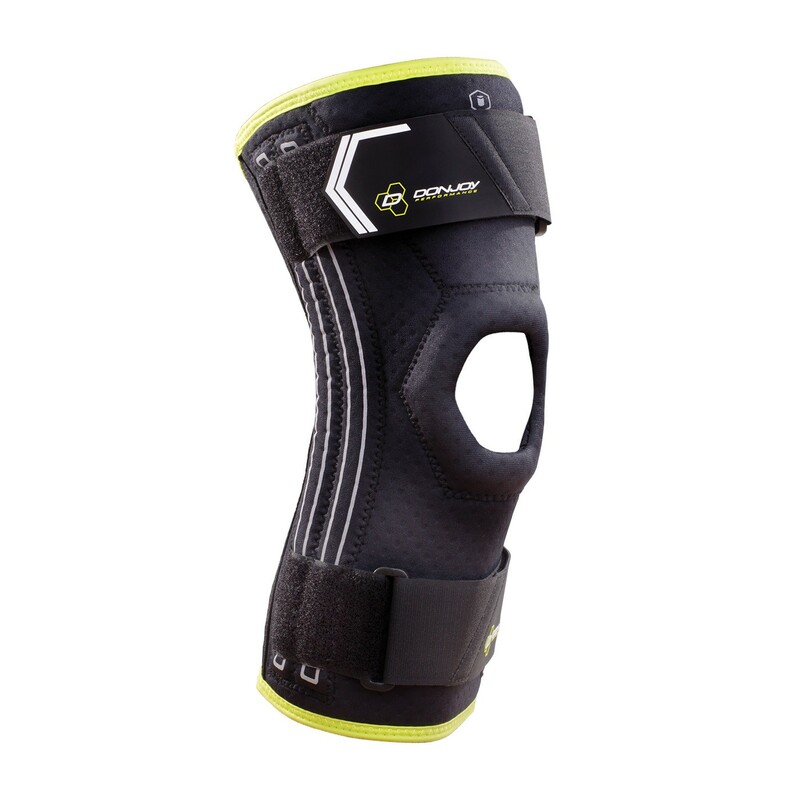 Dual flexible stays for medial/lateral support without limiting range of motion. Size is based on three measurements: thigh, knee and calf circumferences. THIGH 13 - 18.5" 18.5 - 21" 21 - 23.5" 23.5 - 26.5"
KNEE 12 - 14" 14 - 15" 15 - 17" 17 - 19"
CALF 10 - 14" 14 - 16" 16 - 18" 18 - 20"
Best knee sleeve I have used in years!! 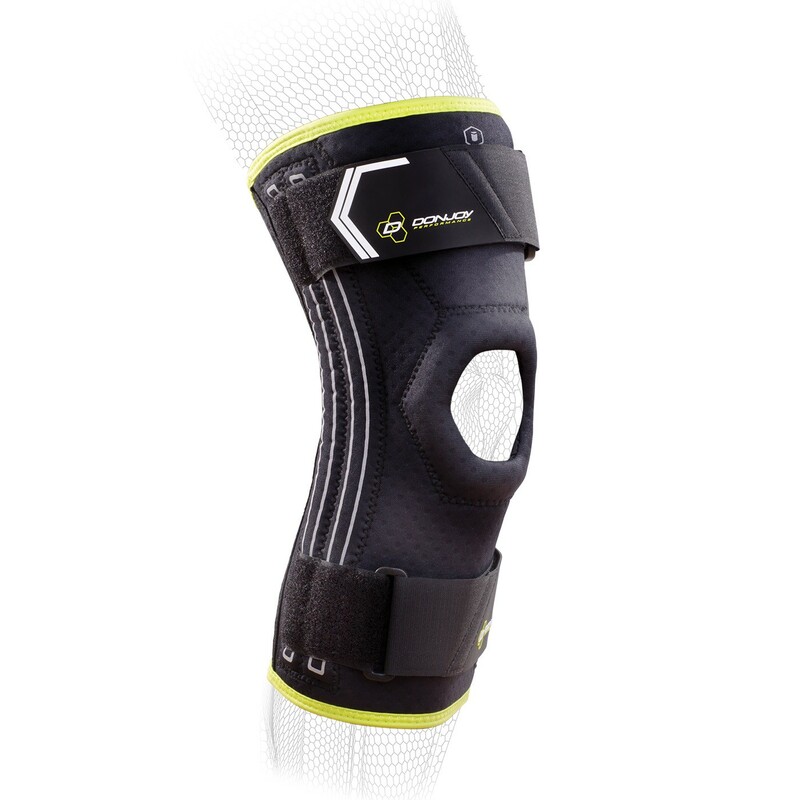 I have played basketball at different levels all my life and now at 46 years old I have found the best knee sleeve. It helps my knees to feel stronger and with less pain but they are surprisingly flexible!! Go for them! !